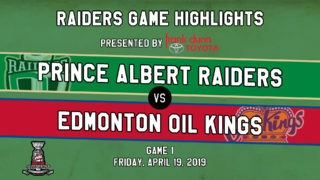 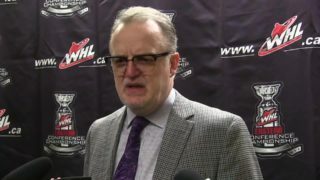 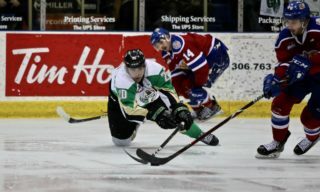 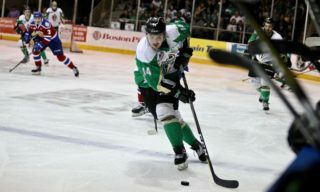 The Raiders dropped Game 2 of the Eastern Conference Championship in overtime to the Edmonton Oil Kings on Saturday night. 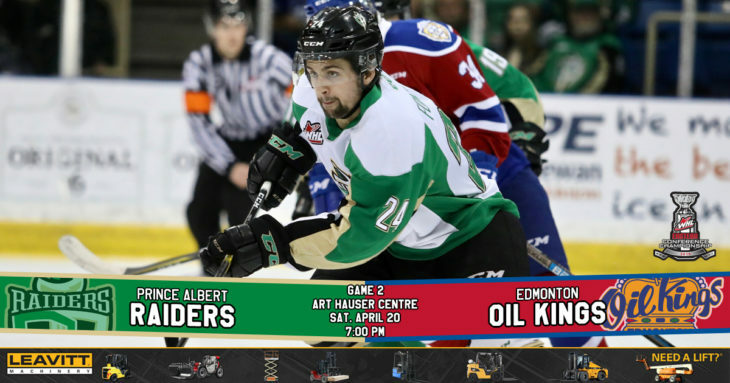 The Raiders host the Oil Kings in Game 2 of the Eastern Conference Championship tonight at the Art Hauser Centre. 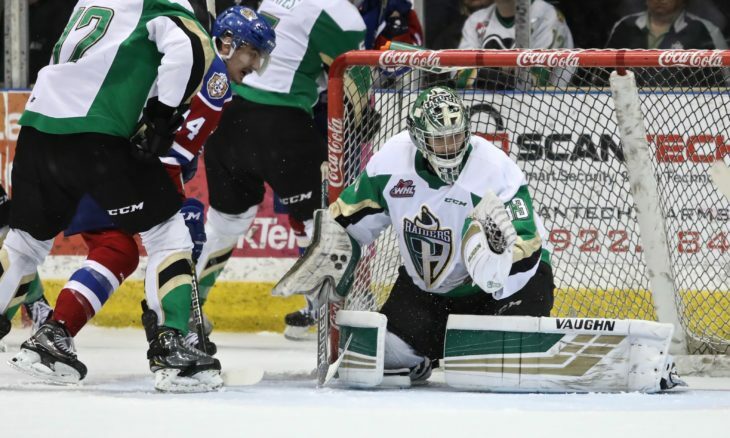 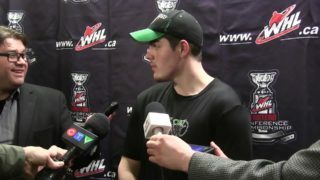 Ian Scott stopped 26 shots to backstop the Raiders to a win over the Oil Kings in Game 1 of the 2019 Eastern Conference Championship on Friday. 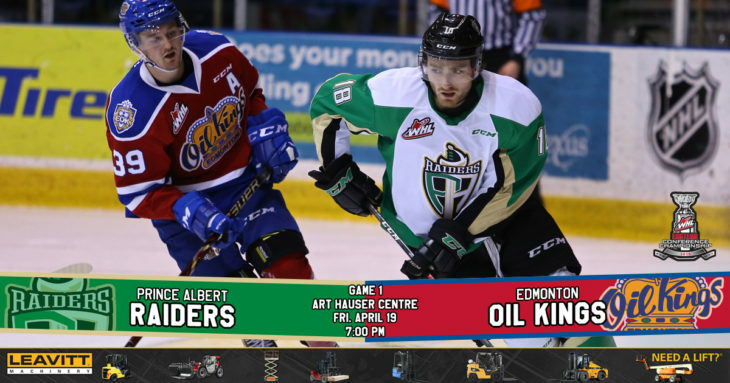 The Raiders open the Eastern Conference Championship tonight at the Art Hauser Centre against the Edmonton Oil Kings. 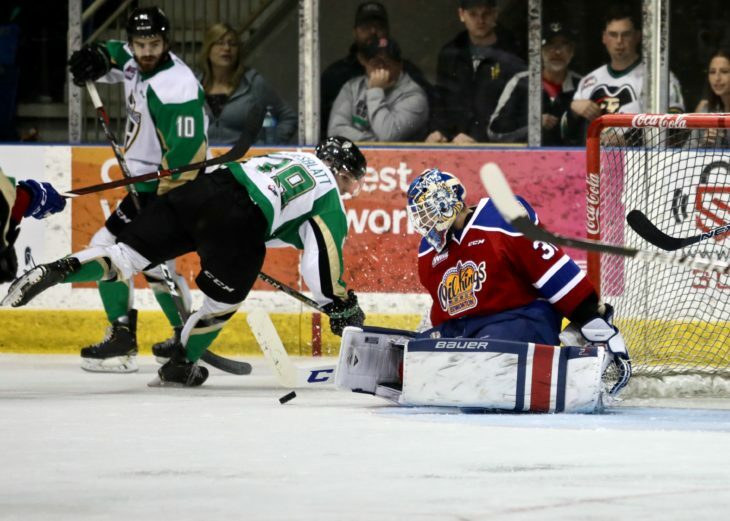 Who will lead the Raiders in scoring during the 2019 #WHLPlayoffs?